MobiDB (1) was designed to offer a centralized resource for annotations of intrinsic protein disorder. The database features three levels of annotation: manually curated, indirect and predicted. MobiDB. DisPot (2) is a community resource annotating protein sequences for intrinsically disorder regions from the literature. DisProt. InterPro (3) provides functional analysis of proteins by classifying them into families and predicting domains and important sites. InterPro. MobiDB-lite is a resource combining 8 predictors in a consensus. IUPred (4) long and short, GlobPlot (5), DisEMBL (6) hot loops and 465 and the 3 flavors of ESpritz (7). The executables of these 8 predictors are launched and their output managed by a Python 2.7.11 wrapper. All UniProt sequences with at least one X-ray annotation in MobiDB (Di Domenico et al., 2012) were downloaded on the May 13, 2013 (25 833 entries).Similar chains were removed at 90% pairwise sequence identity using CD-HIT (101 338 chains reduced to 24 669). For more details on the different datasets see (8). Necci M, Piovesan D, Dosztányi Z and Tosatto SC. MobiDB-lite: Fast and highly specific consensus prediction of intrinsic disorder in proteins. Bioinformatics. 2017. Potenza E, Di Domenico T, Walsh I, Tosatto SC. MobiDB 2.0: an improved database of intrinsically disordered and mobile proteins. Nucleic Acids Res. 2015 Jan;43(Database issue):D315-20. doi: 10.1093/nar/gku982. PubMed PMID: 25361972; PubMed Central PMCID: PMC4384034. Sickmeier M, Hamilton JA, LeGall T, Vacic V, Cortese MS, Tantos A, Szabo B, Tompa P, Chen J, Uversky VN, Obradovic Z, Dunker AK. DisProt: the Database of Disordered Proteins. Nucleic Acids Res. 2007 Jan;35(Database issue):D786-93. PubMed PMID: 17145717; PubMed Central PMCID: PMC1751543. Finn RD, Attwood TK, Babbitt PC, Bateman A, Bork P, Bridge AJ, Chang HY, Dosztányi Z, El-Gebali S, Fraser M, Gough J, Haft D, Holliday GL, Huang H, Huang X, Letunic I, Lopez R, Lu S, Marchler-Bauer A, Mi H, Mistry J, Natale DA, Necci M, Nuka G, Orengo CA, Park Y, Pesseat S, Piovesan D, Potter SC, Rawlings ND, Redaschi N, Richardson L, Rivoire C, Sangrador-Vegas A, Sigrist C, Sillitoe I, Smithers B, Squizzato S, Sutton G, Thanki N, Thomas PD, Tosatto SC, Wu CH, Xenarios I, Yeh LS, Young SY, Mitchell AL. InterPro in 2017-beyond protein family and domain annotations. Nucleic Acids Res. 2017 Jan 4;45(D1):D190-D199. PubMed PMID: 27899635; PubMed Central PMCID: PMC5210578. Dosztányi Z, Csizmok V, Tompa P, Simon I. IUPred: web server for the prediction of intrinsically unstructured regions of proteins based on estimated energy content. Bioinformatics. 2005 Aug 15;21(16):3433-4. PubMed PMID: 15955779. Walsh I, Martin AJ, Di Domenico T, Tosatto SC. ESpritz: accurate and fast prediction of protein disorder. Bioinformatics. 2012 Feb 15;28(4):503-9. doi: 10.1093/bioinformatics/btr682. PubMed PMID: 22190692. Walsh I, Giollo M, Di Domenico T, Ferrari C, Zimmermann O, Tosatto SC. Comprehensive large-scale assessment of intrinsic protein disorder. Bioinformatics. 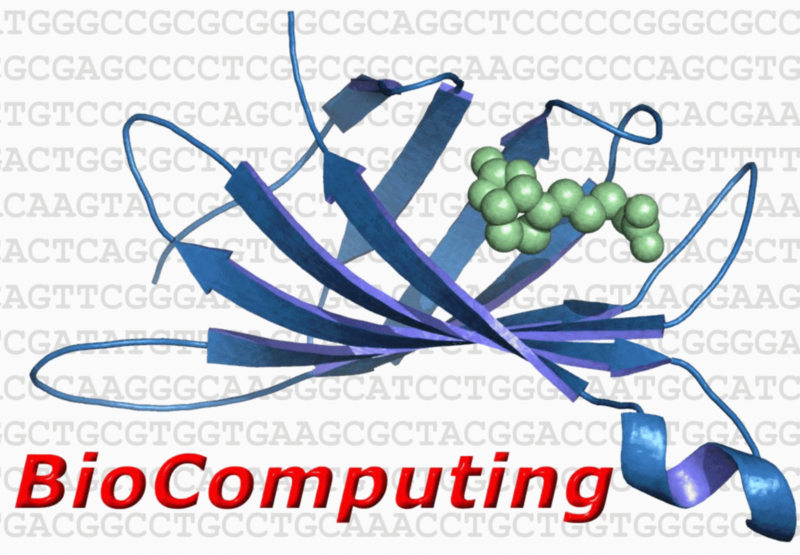 2015 Jan 15;31(2):201-8. doi: 10.1093/bioinformatics/btu625. PubMed PMID: 25246432.